Search engine optimization (SEO) is the process of optimizing online content of a web page so that a search engine will show it as a top result for searches of a certain keyword. Google holds the first place with its 76% of total search engine market share. Rest of the market is shared by Yahoo, Bing, and Baidu. In B2B marketing, SEO is proved as the most effective marketing method by 57% of brands across the world. 47% of consumers go through the company website before they directly hear from the company people. 72% of digital marketers stated that Content marketing is effective online marketing strategy. Only 25% of people cross the first page of search engines. It takes so much of effort and strategies for a brand than just building links, creating some content with few keywords to improve its organic search rankings and increase the visibility of its business or brand. As technology grows day by day, ways to reach out to customers also takes many innovative ways. As a fast-paced and dynamic field, SEO also adapts new ways and methods. 52% of people use voice-activated speakers in their homes. In 2017, out of 4 shoppers, 1 shopper used voice assistants in their holiday shopping. 72% of people use voice-activated speakers as their daily routine devices. 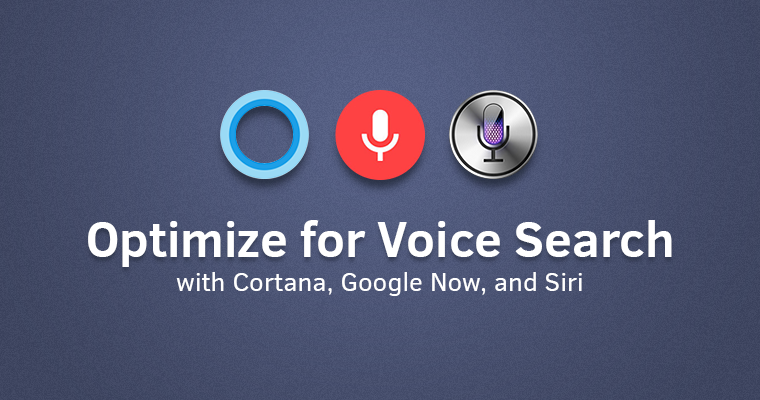 Local based mobile voice-related searches are 3X more likely to be by 2019. It’s always must to think about your users while creating content and know your users’ intention on the search.A tool called Answer The Public helps to research how people are asking questions with voice search based on your keyword. Having a high quality content will boost the chances of ranking high in the search results. A study found that Google tended to source voice search answers from content that ranked in the top 3 search results. Having a brand’s content appear in a Featured Snippet is a smart way of optimizing the content. It is proved that 4 out of 10 voice search results come directly from a Featured Snippet. Also including a question (and answer) in your content will boost the chances to ranking high since The vast majority of voice searches are question based. Long-tail keywords are also cheaper and have better click-through rates than shorter ones. Creating a FAQ page and dedicated blog posts to answer questions from readers will help to understand users and to increase high quality traffic. “Near me” is becoming the fastest growing search trend now which plays a huge role in Local marketing. Structured data can be used to boost the chances of a Brand’s information being read aloud to its target audience.It also helps website owners to add additional information about a particular website to search engines, without it being displayed for the user on a site page. With mobile-first indexing, every website’s mobile web pages is crawled by Google to establish its search engine rankings before it crawls desktop web pages. A websitee should be responsive so that its design have layouts and content that resize and adapt automatically to the screen it’s being viewed on . Google looks for the same content across your mobile and desktop sites including the same articles, the same links, and the same features. Searchmetrics found that Google’s top ten search results are the pages that load in less than 1.10 seconds which is even faster than desktop.Page Speed is one of the signals used by Google algorithm to rank pages. When it comes to SEO ,HTTPS works like a protector.It boosts your website’s SEO presence, helps to stay secure, and make it harder for unwanted to break in and take advantage of your website. AMP JS: works as a library that manages the resources and helps for fast rendering. AMP enables Higher Performance and Engagement and helps publishers to decide about the presentation of the content and suitable technology. Till date more than 1.5B AMP pages have been published and 100+ leading analytics, ad tech and CMS providers support the AMP format. HTTP/2 has become a ranking signal this year. It helps to reduce the loading time and have a faster website. Having good image quality, and dimensions are must for a website.These compressed images load faster and don’t weigh down your page as much.Selecting a theme that supports responsive image styles will be helpful. Google’s PageSpeed Insights, LightHouse,GT metrix, Pingdom, YSlow. Next Why small business should invest in a website?